Level-funding is a cost-effective health plan funding solution that allows companies to pay a predictable, fixed monthly rate like a fully insured plan to eliminate the funding fluctuations associated with self-insured plans. Instead of using the premium to pay expected claims and administrative fees, our Assure level-funded plans use that money to fund maximum claim liability, pay administrative fees and pay a stop-loss insurance premium. This eliminates the financial risk of self-insured plans. The money that is set to fund maximum claim liability is used to pay the claims that occur throughout the year. If a company’s claims are less than the amount they funded at the end of the policy year, the company will receive 50 percent of the funding surplus. Payments are calculated after the 24-month claim liability period has expired (12 months after the end of the policy year). If claims go over the funded amount, the company is protected by stop-loss coverage.Stop-loss insurance protects employers by covering the cost of claims that have gone over the funded amount, which is based on maximum claim liability.Stop-loss insurance limits the company’s risk exposure and protects from catastrophic claims. 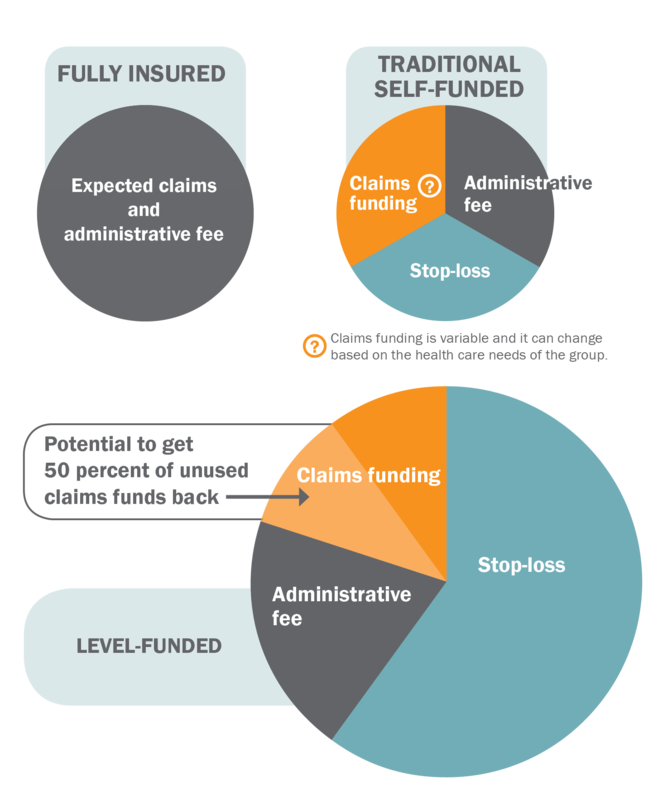 An advance funding feature allows the payment of claims even when the funding level is less than the claim payments. This feature ensures that the company never pays more than their maximum claim funding amount for any month of the year. A minimum of 80 percent of enrolled employees must reside in Network Health’s service area. A minimum of 90 percent of enrolled employees must reside in Wisconsin. A maximum of 5 percent of enrolled employees may reside in a single state other than Wisconsin. Network Extend requires approval for participation. Talk to your agent for more information. If you don’t have an agent, call 920-750-1250. Eliminate the financial risk and funding fluctuations that are common with a traditional self-insured plan. Save on health care costs and put more resources back into your business. Bundled product like a fully insured plan with the financial advantages of a self-insured plan. Employees can earn rewards for healthy choices through the Empower Wellness Program.